Life has three guarantees: you’re born, you die and if your name is Rio, you dance on the sand. New York indie rocker Sam Shaber was born hungry like the wolf for rock stardom. But what if you never get to join the band? Maybe you grow up to sing about life and death instead. 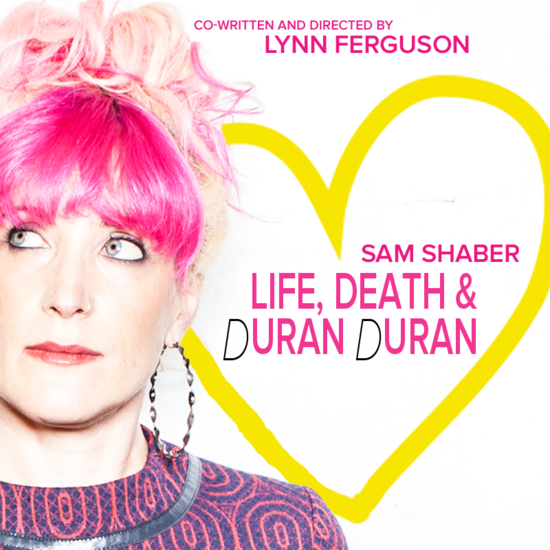 Coming off a wildly successful premiere at the Edinburgh Fringe, Sam Shaber: Life, Death & Duran Duran makes its U.S. debut this June at The Complex as part of the Hollywood Fringe Festival. In this original musical storytelling experience, acclaimed New York indie rocker Sam Shaber tells personal tales of adolescent dreams and lost loved ones. Each moment of loss is balanced with a vignette of Shaber as her obsessive, pre-teen, Durannie self (i.e. piercing her own ear with a push pin and declaring herself a future worldwide rock star) to create an emotional roller coaster of laughter, tears and catharsis. Between spoken word and her own songs, which she performs live on stage, Shaber reminds her audience that our loved ones become a part of us forever, and that is what keeps us dancing on the sand. Co-written and directed by Lynn Ferguson, “Sam Shaber: Life, Death & Duran Duran” had its world premiere at the 2017 Edinburgh Festival Fringe, presented by the Gilded Balloon, and garnered 5-star reviews, celebrity endorsements, BBC raves, and more.